Essentially, users can expect an experience that will not stray too far from what CyanogenMod 5.08 changed in terms of the UI. 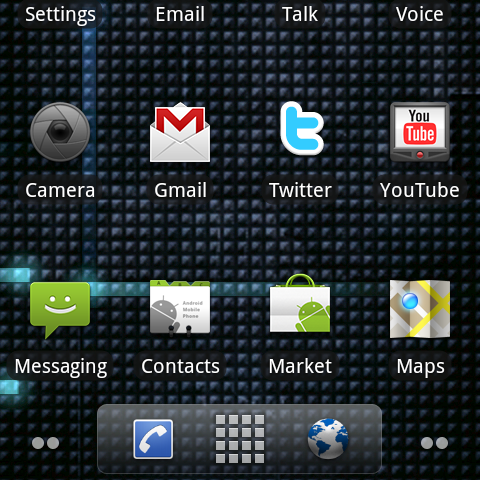 An updated version of ADW Launcher does provide a few enhancements, though. 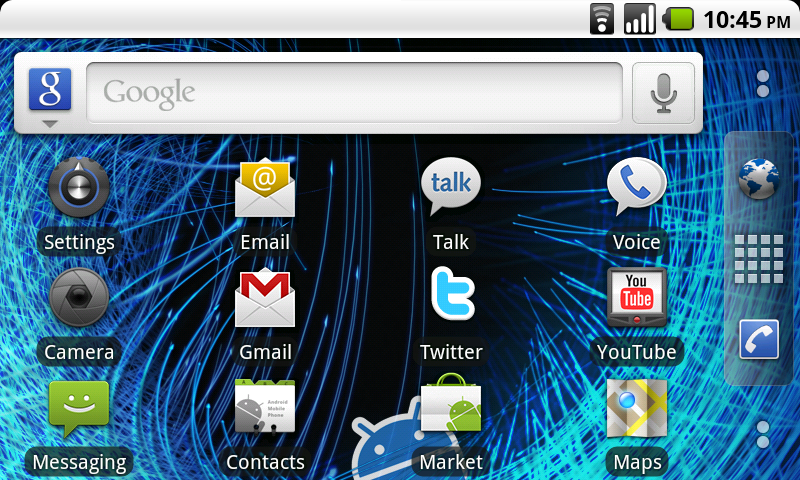 Namely, tilt-sensing home screens are now a default feature. This is good news for everyone. Given that most touch screen phones are easier to type on and hold with two hands in the landscape format, home screens to match are a welcome addition to the overall experience. Another ADW feature, though not enabled by default, is the Samsung Galaxy S style app drawer; shown below, it allows you to scroll through pages of apps like home screens, from left to right. Also the recent apps list has been upated. Generally speaking, though, users will find few UI differences in CyanogenMod 6 from 5.08; most of them resulting from the update of ADW Launcher to version 0.9. 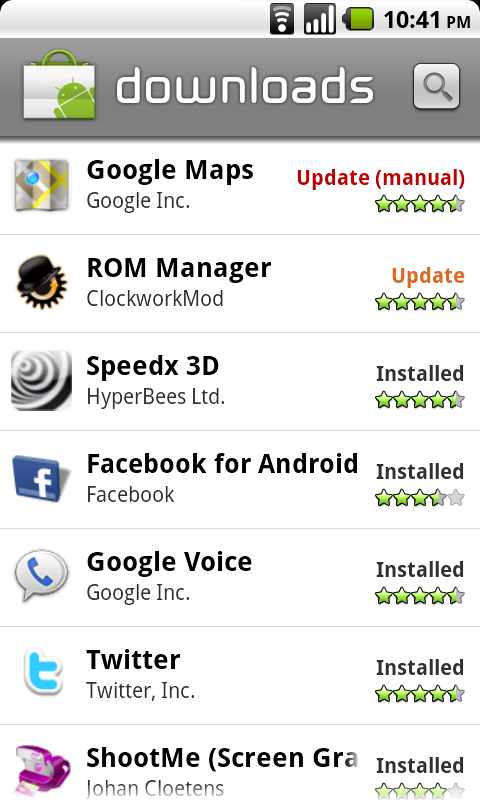 Cyanogen is using the updated FRF85 version of the Google Apps package for CyanogenMod 6. This updated package appears to include Twitter by default, as well as the latest versions of the various Google-developed apps. 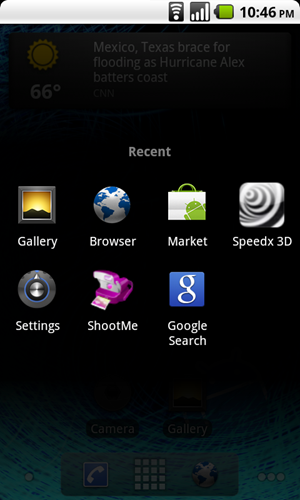 CyanogenMod 6 contains the updated features for the Android Market as well; supporting manual or automatic updating, as well as support for applications with Apps2SD enabled by their developers (The Froyo native Apps2SD method), as shown below. For whatever reason, the CyanogenMod team has temporarily removed the “old” Apps2SD method previous CyanogenMod releases utilized, which allowed any application to be moved to the SD card. It is currently unknown whether it will return in later releases of CyanogenMod. Cyanogen has also added the supremely useful ROM Manager to this release as a standard application. Standard dev tools and a terminal emulator are also, as usual, included. It does not appear this release supports retrieval of your previously installed apps via your Google Account (At least on a fresh install). 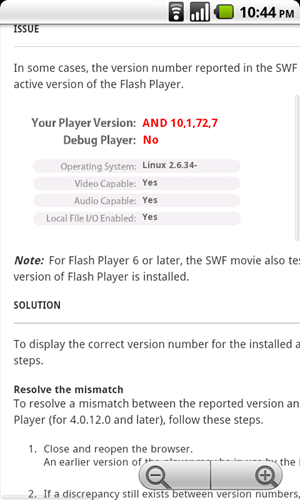 One app that is not included but is certainly going to be high on your must-download list, Adobe Flash, is available in the Market on CyanogenMod 6. Screens below of the Market page, and a Flash test page/version check from Adobe. While we can’t provide any videos showing CyanogenMod 6 in action currently, I can tell you it is fast. Boot times are drastically reduced, hovering around 30 seconds from power on to home screen. Froyo’s general speed improvements seem to have made a noticeable difference in overall performance, as well. 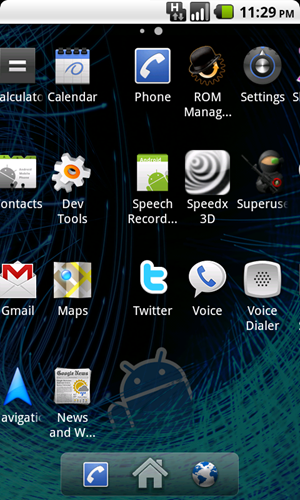 Navigating from app to app is smoother than it has ever been on CyanogenMod. I’ve also noticed that turning the WiFi radio on and off is far snappier than it was previously. 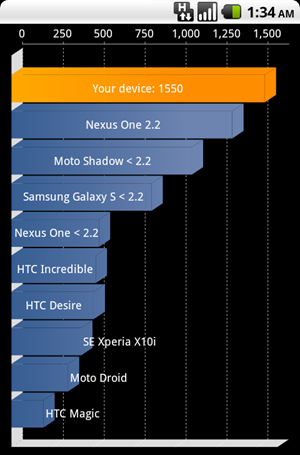 We’ve posted results from a common performance benchmarking app as well, below. 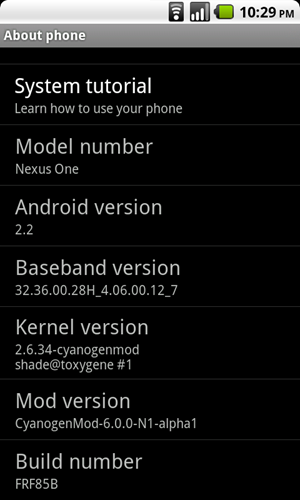 Currently CyanogenMod 6 has few of its own custom settings embedded into the mod, though more are likely to follow. The often-requested trackball screen wake and unlock setting has been added to this release. 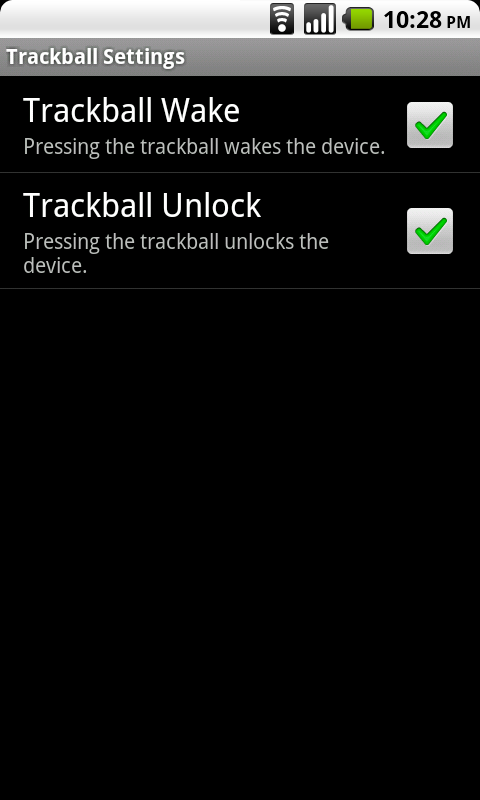 For Nexus One and other trackball device users, it’s a handy function. 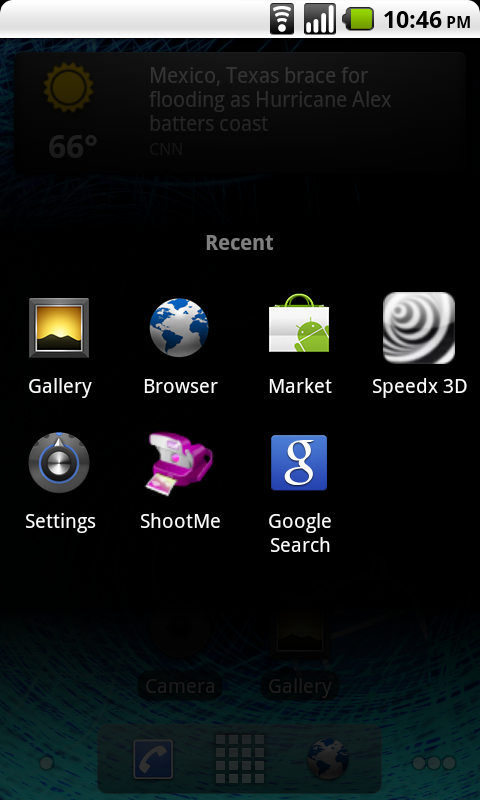 If it’s a Froyo feature, CyanogenMod 6 probably has it. Built-in tethering, the long-awaited update to the gmail app, greater Exchange support, the list of Froyo features obviously goes on and on. 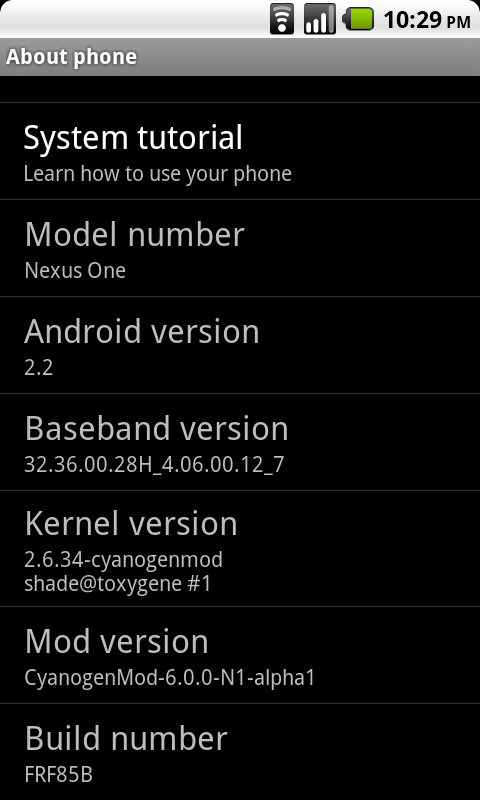 At this point, it does not look like Cyanogen has chosen to exclude any particular Froyo features from CyanogenMod 6. Running CyanogenMod 6 Alpha? Have any bugs to report? Features we missed? Let us know below!